BARCELONA—Breast cancer patients with the chromosome enumeration probe 17 (CEP17) alpha satellite abnormality are more likely to have good outcomes from chemotherapy involving anthracycline antibiotics than women without the abnormality, according to new data released at the Seventh European Breast Cancer Conference. John Bartlett, MD, with the University of Edinburgh in Scotland presented the results of a meta-analysis of four adjuvant breast cancer trials that enrolled a total of nearly 3000 women. Women with CEP17 tumors that were treated with anthracyclines were roughly two thirds more likely to survive without recurrent cancer than those who did not receive anthracyclines. Recurrence-free survival was 67%, and overall survival was 63%. Prior research by the same investigators had shown that duplication of CEP17 predicts sensitivity to anthracyclines. “CEP17 can be readily assessed in fluorescent in situ hybridization analysis of human epidermal growth factor receptor type 2 [HER2] status and may represent a clinically useful biomarker for the selection of patients likely to benefit from anthracycline-containing therapies,” Bartlett pointed out. He added that the research is important because there has been conflicting evidence on the best way to predict response to anthracyclines and because it has not been clear whether any of the known biomarkers like HER2 and topoisomerase 2 alpha were accurate indicators of response to these drugs. BARCELONA—Minimally invasive prostate cancer surgery known as robotic-assisted laparoscopic prostatectomy (RALP) is an effective and safe treatment option in obese patients, investigators announced at the 25th Anniversary European Association of Urology Congress. David Samadi, MD, and colleagues at Mount Sinai Medical Center in New York presented results in 1112 men who underwent RALP by a single surgeon. Of the study population, 870 patients had a low body mass index (BMI; <30) and 242 patients had a high BMI (≥30). The results showed similar perioperative, pathologic, oncologic, and functional outcomes in the two groups. Continence and potency rates were also similar. Samadi noted that surgeons have voiced concern that obese patients might develop worse outcomes than nonobese patients because surgery is technically more challenging in this population. “Surgeons should approach these cases with more confidence,” he said. BARCELONA—Women with breast cancer say they would rather meet with other patients who have undergone breast reconstructive surgery than view clinical photographs before they decide on the particulars of their procedure, new data show. Clinical photographs are the surgeons’ preferred method for showing patients preoperatively the outcomes of various types of breast reconstruction. Anushka Chaudhry, MD, with Frenchay Breast Care Centre in Bristol, United Kingdom, interviewed 30 women who were planning to undergo reconstructive procedures at her institution. All patients were seen at the center’s dedicated breast reconstruction clinic. In addition to viewing clinical photographs of their surgeon’s breast reconstruction procedures, patients were offered the opportunity to meet face-to-face with other women who had undergone similar procedures or talk to them by telephone or e-mail. Contact between the women was made by the breast cancer nurse. Twenty-five women reported that they preferred meeting other patients to “simply seeing clinical photographs.” The other five women said that they, too, preferred meeting other women who had undergone reconstructive surgery but that contact by phone or e-mail was best for them. “A key part of the decision-making process is support, and patients are often the best advocates for others at this time of great personal anguish,” Chaudhry said. 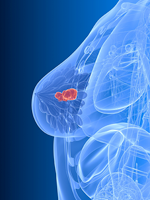 She reported the findings at the Seventh European Breast Cancer Conference.